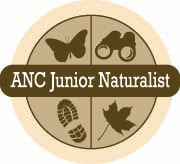 Join us twice a month for nature-infused programming that will complement your homeschool curriculum. Program times are 2:00 to 4:00 pm. “Learn and Earn” badges will be offered for all ages. Parental participation is strongly encouraged! These two-hour sessions will provide time for families to learn together. Age appropriate focus groups will also provide children with an enhanced learning experience. Session times are from 2 pm to 4 pm, on the first and third Wednesdays of each month, continuing from October 1 through November 19. Cost for all fall sessions is $40 per child or $8 per session per child. Contact Rebecca Bearden for more information.